I just hate the new photo experience in Flickr! Hate, hate, and once more hate! Is there any possibility to go back the old one?! I guess not. Actually the new photo experience gave me great laughs too. The camera icon for Fuji X-Pro1 was like a Polaroid camera! Wow. In a Flickr style this “improvement” arrived like a bomb. Of course I knew that they were making it and I tested less than a minute the beta version but still… Bam and it was there! 1. Wonderful friends and contacts. I have 714 contacts at the moment (so not too overly amount) and something like 50 friends. They are the biggest asset of Flickr. 2. Fast to add faves and comments from the new homepage without opening the photo. Shots are big enough to see them clearly. 3. Recent Activity page is as before. I am using this page a lot to see what is happening. 4. Easy to embed photos to my WordPress blog. Flickr also works nicely with iPad Blogsy blogging app which I am using. Now that I have tested few photo sites (e.g. 1x, 500px, Ipernity) in addition to Flickr it seems that I do not have time to use many (not even two) sites simultaneously. I have also my blog to care for. Now that we have all new Flickr my way to use it has changed. In the old school version I was almost never using Flickr homepage but I was always in my photostream page. Now I am using Flickr homepage a lot. From there I can see the new shots from my contacts (and also straight possibility to comment and fave them), comments for my shots (and other’s I have already commented on), glimpse of my groups and some shots from Explore. I find the new Flickr homepage better than the old one. At least I am using it now way more than before. I think the main problem with the new UI is in the photostream page which is lagging some useful information it has in the old version. It is interesting to see how things evolve from this. 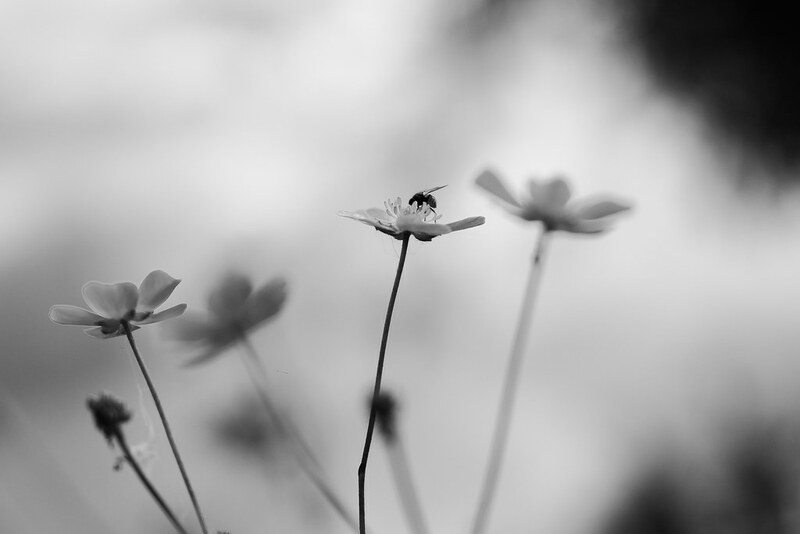 Jonne Naarala’s photostream on Flickr. I somehow like the new Flickr looks but I am not so sure if I want to pay 50 USD for ad-less approach. I do not even know how Flickr would look like with the ads. This needs some thinking to do. How to proceed? I would like to be a Flickr member because of those many fantastic friends I have there. I am a long-time Flickr user since July 2005. Lately I have been more and more irritated by the exposure or brightness change in my photos when I compare a photo in the Flickr front page vs. photo page vs. Light box. Of course there is also change in photo size when doing this comparison but I do not see so dramatic change in e.g. Lightroom when I compare a shot with a white background vs. a black one. I feel that if people are seeing my shots in the front page of my photostream or even in the particular photo’s page the brightness of the shot is not the right one. Not that what I intended it to be. The effect is most prominent in the shadow areas. You can test this with almost any shot in my photostream. I am not leaving Flickr for this. No way. I have so many wonderful contacts and friends there. Thoughts and ideas, originally uploaded by Jonne Naarala. 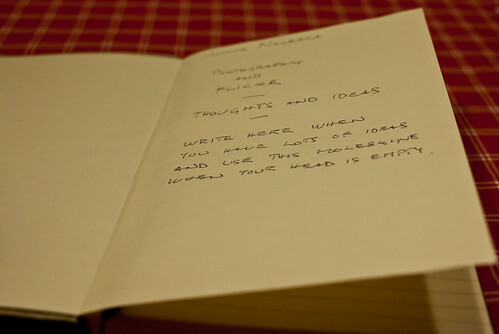 I bought a moleskine-type notebook for writing down my thoughts and ideas about photography and Flickr. I hope this notebook will be handy when I am out of ideas and I can open it and recall some concepts for my photography. Let’s see how this is going to work and if I am active in writing notes in it.